On the way to Cape May this summer? You should be! Cape May is so beloved, it completes the title of a Jersey Shore anthem. Escape to this family-friendly, seaside destination with National Historic Landmark flair. Cape May’s colorful Victorian homes (“Painted Ladies”) make unforgettable bed & breakfasts and inns, so stay the night (consider camping or select from hotels and motels too). Whether for a day trip or summer vacation, these New Jersey Travel & Tourism hints are sure to keep everyone happy. This tranquil town is ideal for relaxing summer days, immersed in Victorian splendor. Travel through time—and Cape May’s Historic District streets—with a themed trolley tour. You’ll adore its renowned architectural legacy of nearly 600 restored buildings—homes, inns, hotels and churches. Don’t miss major Cape May attractions, such as the Emlen Physick Estate, a hub of local activity, plus the Cape May Lighthouse, World War II Lookout Tower and Naval Air Station Wildwood Aviation Museum at Cape May Airport. Shop a series of crafts and collectibles shows and Washington Street Mall, an eclectic collection of stores selling art, fashion, books, décor, treats, toys and more. Live entertainment abounds here. Swing by the Cape May Music Festival (May 26-June 14) for classical, chamber, jazz and more. The East Lynne Theater Company presents Summerland (June 12-July 20) and The Rainmaker (July 24-August 31) on its mainstage, as well as “Tales of the Victorians” storytelling with tea and treats at various venues (Thursdays, 4 p.m.). Plus, check out Cape May Stage and Elaine's Dinner Theater. For such a charming and cheerful place, you might be startled to know that Cape May can be...well...chilling! Spook up some goosebumps this summer with a Cape May ghost tour that you find intriguing, and investigate its streets from a whole new, shadowy and gaslit perspective. You’ll unearth a spine-tingling mix of options that dig into the town’s mysteries, superstitions, oddities, curiosities and, of course, hauntings—maybe some indis-BOO-table proof too. Of course, with options that are among the world’s best, Cape May beaches are a must-do in summer. Swimming, surfing, kayaking, fishing, volleyball and other fun await. Stroll the shoreline, and treasure Atlantic Ocean views and that revitalizing sea breeze. Dip into a range of boat and nature activities, including cruises and tours. Perhaps, pick up your copy of the Cape May Bike Tour booklet, and sightsee on two wheels—or on foot! At the Cape May Bird Observatory, discover why this is one of the top spots to watch feathered friends take flight. Year-round, Cape May boasts delicious dining. But in summer 2019, this town serves a batch of foodie events. They include Cape May Restaurant Week (June 2-9 – at participating restaurants), Cape May Hops Festival (June 22 – blues, brews and BBQ), The Chalfonte Hotel’s Civil War Dinner Package (Tuesdays and Thursdays, June 25-August 29, except July 4), a Beer Garden with Cape May Brewing Company (July 19 – at the Cape May Lighthouse) and the Craft Beer, Music & Crab Festival (August 3 – plus plenty of other local specialties). The Cape May County Park & Zoo is free and open daily, making it a wonderful—and totally affordable—day out for the entire family. Come face to face with a world’s worth of fascinating animals, like the African lion, American black bear, Australian black swan and North American river otter. Say “hello” to other favorites, too, such as the alpaca, monkey, giraffe, red panda, scarlet ibis and so many more! 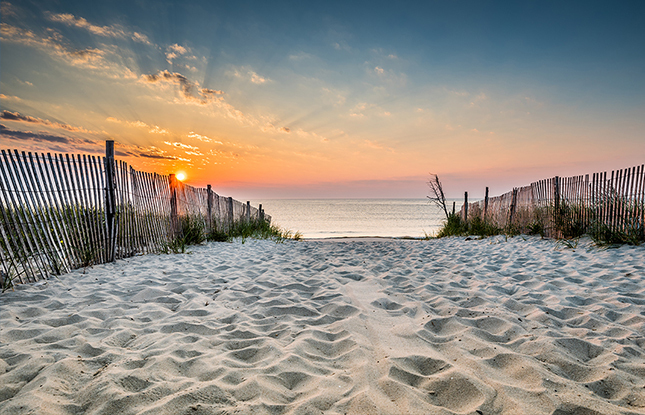 In New Jersey, every new day brings a brand-new destination…like Cape May! Plan an outing or stay over to experience everything Cape May has to offer. 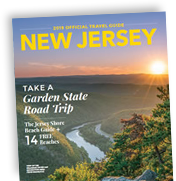 For more ideas and accommodations, go to visitnj.org, where you can also download a free NJ travel guide or sign up for e-news from New Jersey Travel and Tourism.